Feel secure when you’re away with our travel insurance for cervical cancer. With up to unlimited medical cover, you can relax on holiday knowing you’ve got cover tailored to your needs. Get a quote online in minutes, or find out more about our cover below. Cervical cancer is diagnosed in around 3,000 women each year, but it should never interfere with the enjoyment of your holiday. Why do I need travel insurance for cervical cancer? It’s always sensible to be covered when you’re off on holiday, especially with pre-existing medical conditions. That way, you can be protected just in case something goes wrong when you’re supposed to be relaxing. After all, you might not know that 1 in 20 people claimed on their travel insurance in 2017**, so it’s more common than you might have thought. From a lost passport or flight delays, to the need for medical treatment that varies in price from country to country, the problems that can occur when you’re away can be expensive. That’s where we step in. With the right policy, you could save a lot of money and stress if the worst happens. After all, peace of mind and comfort when you’re travelling is priceless. Every customer is an individual, regardless of any medical condition they may have. We like to take the time to tailor your policy to fit your needs. If it’s worth doing, it’s worth doing right. To find out if your medical conditions can be covered, you’ll need to complete our medical screening process. The medical screening is the opportunity for us to know about your medical conditions and how they affect you. The questions take only a few minutes, and it’s important you answer them accurately and honestly so we can make sure your policy covers you properly. If you don’t disclose all your pre-existing medical conditions, your policy will be invalid if you need to make a claim later down the line. Has there ever been a spread from the cervix to other parts of the body? How long ago was your last treatment for cancer? Are you currently having or planning to have any of the following cancer treatments? Have you been offered chemotherapy, radiotherapy or surgery but chosen not to proceed? What was the outcome of your most recent scan or x-ray to assess your cancer? Are you taking strong painkillers every day for this condition? Do you need assistance with your day-to-day activities as a result of this condition? If I have had chemotherapy, radiotherapy or biological therapy, can you offer me cover? Yes, we will be able to give you full cover providing you are not awaiting any further surgery or treatment. If you are awaiting further treatment or results, then we may still be able to offer you cover for your travels, but this would exclude all pre-existing medical conditions, including cervical cancer. Do I need a European Health Insurance Card (EHIC)? If you’re travelling to countries in the EEA (all EU members as well as Iceland, Switzerland, Norway and Liechtenstein), it’s a condition of our insurance that you carry an EHIC with you. 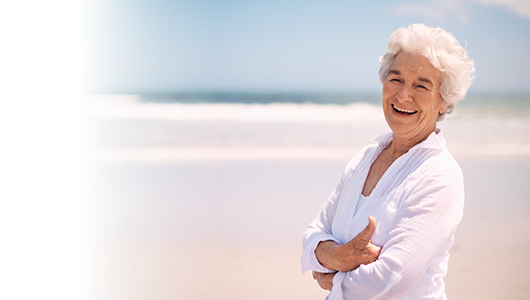 An EHIC entitles you to free or subsidised healthcare when travelling, when you use their state healthcare provider. But although an EHIC is an essential part of our policies, it shouldn’t serve as an alternative to proper travel insurance. An EHIC won’t cover any lost possessions, a stolen passport or delays to your travel. It also won’t cover the costs of being flown home as a medical emergency. So, while an EHIC is essential as part of a travel insurance policy, it doesn’t replace having a travel insurance policy. I have terminal cancer. Can you offer me travel insurance? If we can’t provide the right cover for your condition, then we can signpost you to The British Insurance Brokers Association (BIBA). They may be able to help you find an alternative provider. We can also signpost you to InsureCancer.com who can also be contacted on 0845 649 0190. Insure Cancer specialise in providing cover for people with active, metastatic, relapsed or terminal cancer, as well as people involved in clinical trials. Give us a call today on 0800 033 4902. Or, you can get a quote online in just a few minutes below. *Moneywise Customer Service Awards 2017 & 2018, based on the biggest survey of financial consumers in Britain. **5.04% of people claimed on their Annual Travel Insurance policy in 2017.